Information is valuable to decision makers in both public and private sectors. The New Public Management (NPM) reform in the public sector has stressed the importance of performance information to politicians, public managers, and citizens. Information economics has acknowledged the meaning of information as a market determinant. However, as a discipline, information economics has not developed a cost concept that describes the negative value of an incorrect decision caused by the non-use or misuse of information. A systematic theoretical approach describing the factors causing such non-use or misuse is also currently missing in information economics. This article aims to fill these two research gaps. It defines infonomic costs (ICs) as the negative value of information non-use or misuse, denoting the benefits lost by the decision maker. By conducting an exploratory literature review, another new concept called the information expectation gap (IEG) is created to depict why the non-use or misuse leading to ICs occurs. The IEG also explains how information and knowledge asymmetries come into existence. The conceptual work presented here offers novel understanding and terminology to both academics and practitioners. Practitioners can utilize the IEG concept in information system management because it displays several dysfunctions that they may face in their information systems. For academics, this research opens up new theoretical conversations about the different types of information system dysfunctions that cause market errors and adverse policy decisions. Obeso, M., & Sarabia, M. (2016). Knowledge and enterprises in developing countries: evidences from Chile. 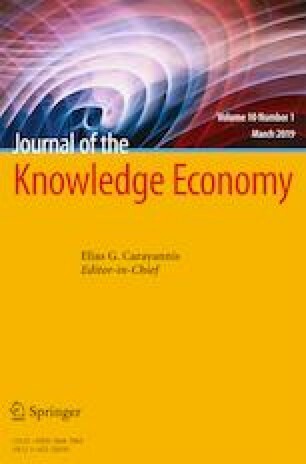 Journal of the Knowledge Economy. doi: 10.1007/s13132-016-0374-8.